Read on if you are a global startup that wants to recruit talented koreans, to take your company to the next level. Hive Arena is taking on a new role! Since 2014, when we started running our coworking space, we have seen a lot of foreign friends and locals pass through our doors. We have met people who represent a wide spectrum of skills and talent : web and app developers, journalists, designers, marketer etc. 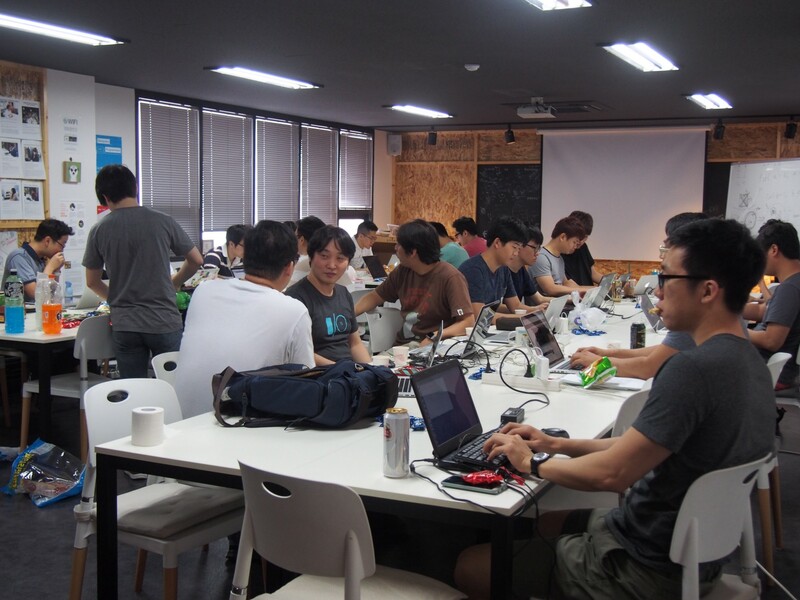 Most of our coworkers are software engineers or working on tech scene of South Korea. And we have some tech community partners like Pyjog, Weird Meetup, 9xd meetup, Elixir meetup. Their member are good skilled techies. They want to grow and work on a bigger stage. And we would like to connect Korean tech people with Global startups in Asia or on other continents. We share how to post your job description. A new job posting submission should be created accordingly in GitHub’s New Issue. The basic format is getting polished up. Before writing the job description, please be sure to choose all the applicable labels. The labels are divided into two categories: job specialisation areas and form of work. This will help all those looking at your offer. We plan to share your posting with foreign developers and other specialists who visit Hive Areana and Korea. We also would like to share a link to Google Docs document, for those who don’t find using GitHub convenient. Please remember to post in English and follow the given Issue format when preparing your own job posting. Thanks to Marta Allina help me write this post.